All 5 can be seen in the top picture at right for comparison. 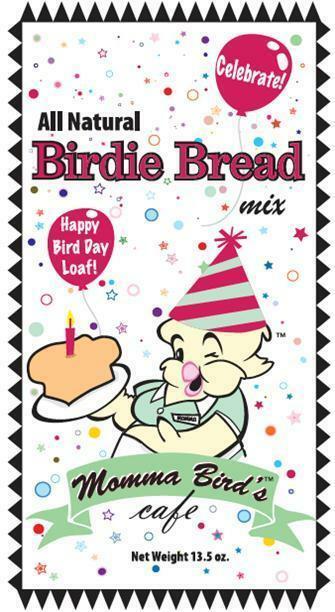 PLEASE NOTE: the above price is for one regular Pistachio Nut Block. You will need to choose which variety you would like in the Available Options box above. If you would like one of the 5 other varieties the Additional Price shown there will be ADDED to the price of the regular Pistachio Nut Block. 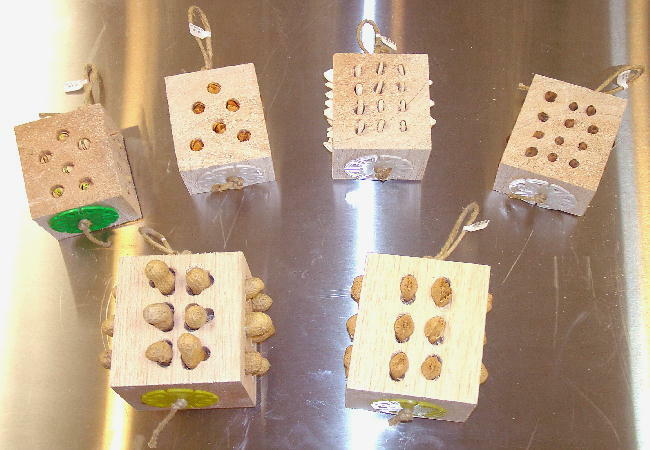 PLEASE NOTE: The holes drilled into these blocks are deep enough so that after your bird chews out the nut or seed - you can still wedge another one in for them! Pistachio: Approximate block dimensions: 3"x3"x4". Pictured second from the top at right along with one of these blocks that our 19 year old (as of 2009) Dusky Pionus Merlin has had for about 1 week! 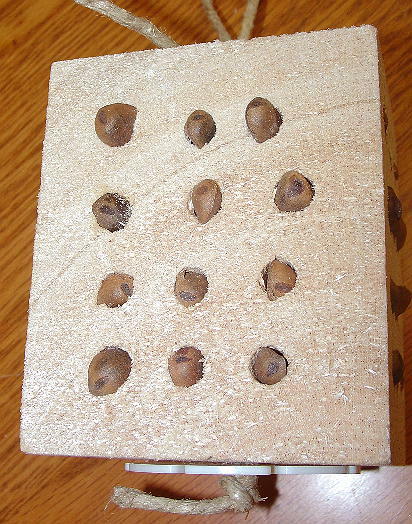 Each side of this block has 6 nuts imbedded into it - for a total of 24 nuts! Habanero Pistachio: Approximate block dimensions: 3"x3"x4". Pine Nut: Approximate block dimensions: 3"x3"x4". 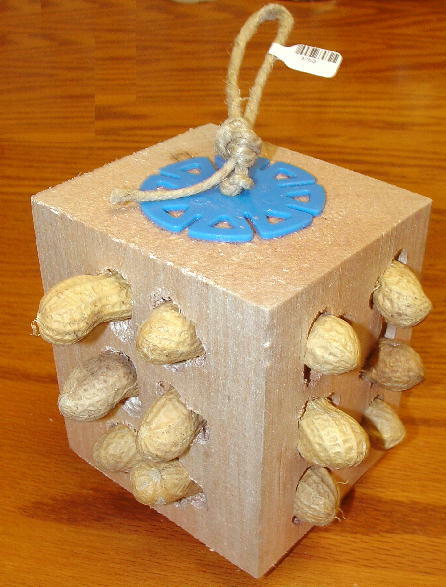 Each side of this block has 12 nuts imbedded into it - for a total of 48 nuts! 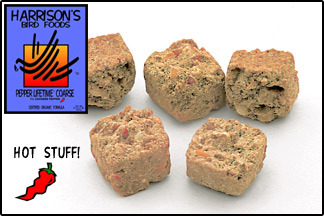 Peanut: Approximate block dimensions: 5"x4"x3". 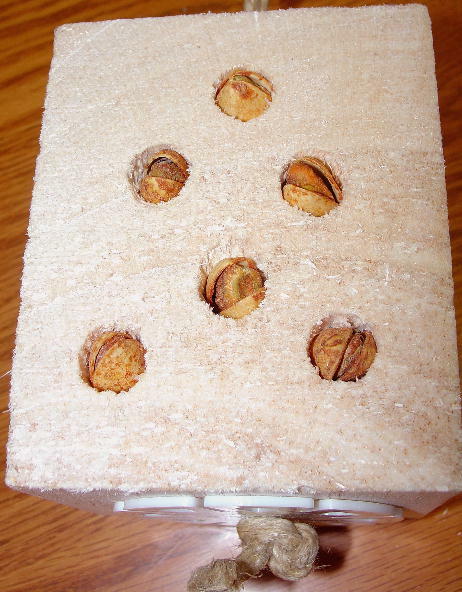 Each side of this block has 6 large Peanuts imbedded into it - for a total of 24 nuts! 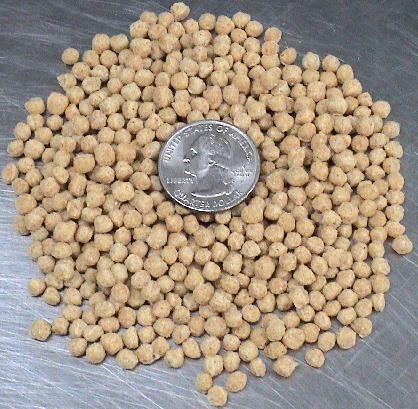 Almond: Approximate block dimensions: 5"x4"x3". Each side of this block has 6 Almonds imbedded into it - for a total of 24 nuts! 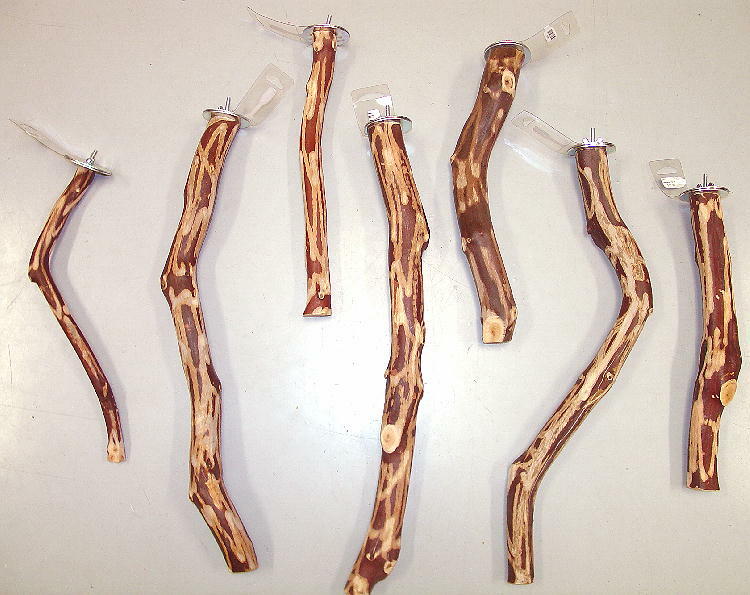 The Balsa Nut Blocks are a favorite destroyable foraging toy for most birds! 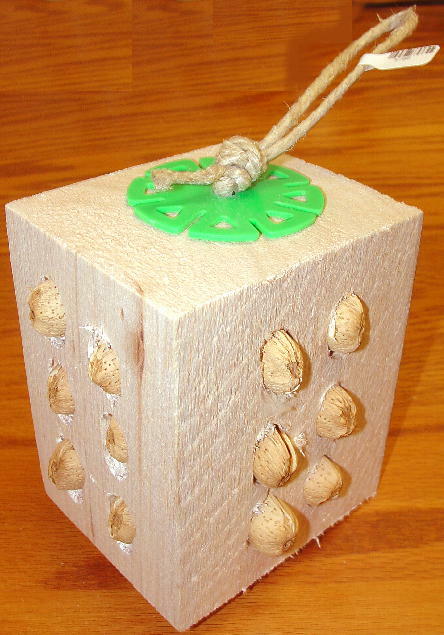 The balsa wood block is stuffed on all 4 sides with organic fresh in-shell nuts or Pumpkin Seeds! A wonderful destroyable toy - with a treat bonus! 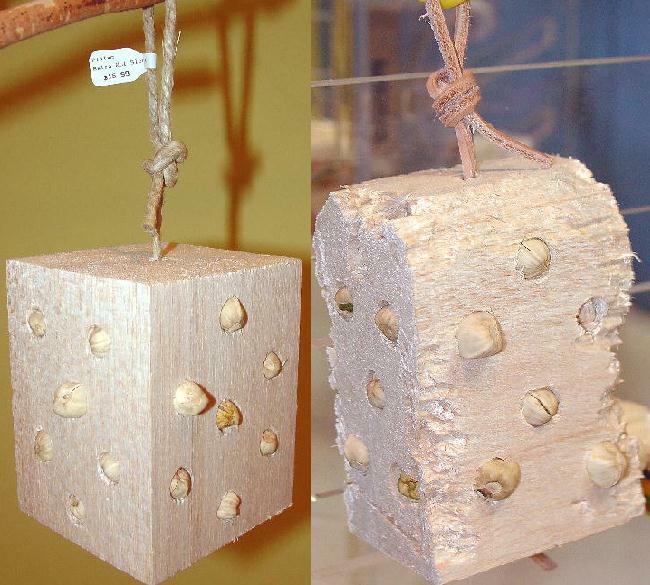 The bottom picture at right is a picture of one of the Balsa Nut Blocks after our 19 (as of 2009) year old Dusky Pionus Merlin had it for a couple of days. 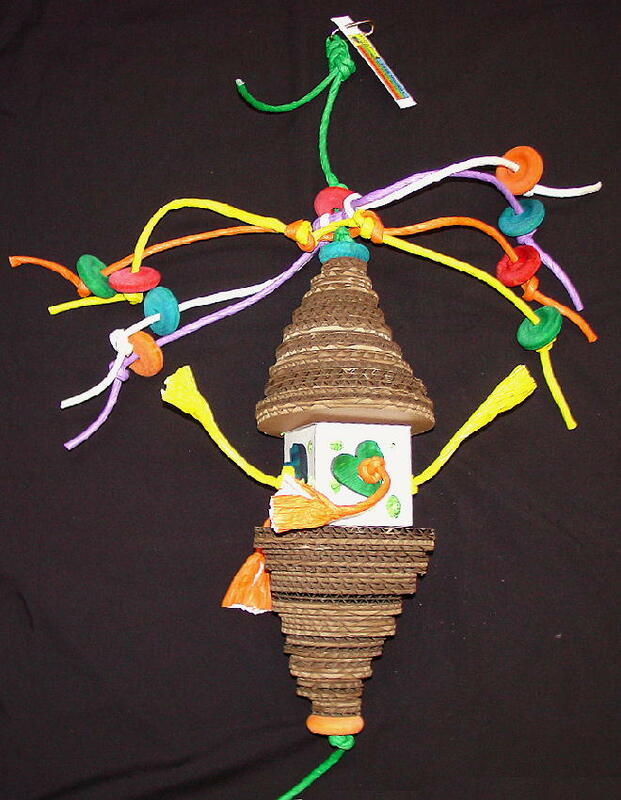 We recommend these toys for medium sized birds like Senegals, Pionus, Caiques, Conures and up to larger parrots like Amazons, African Greys and similarly sized birds.